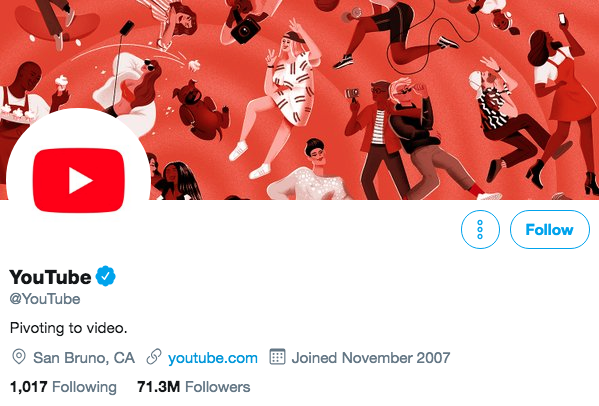 The best Twitter bios have one thing in common: They’re original. That being said, writing a creative Twitter bio is easier said than done. 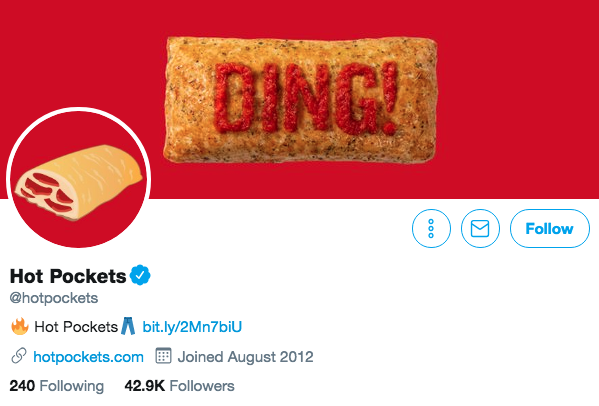 Twitter bios are where your brand gets to introduce itself, offer an elevator pitch, and set the mood—all in 160 characters or less. Some brands can do this with a single emoji. Others push it to the character limit. But the worst look like all the rest. 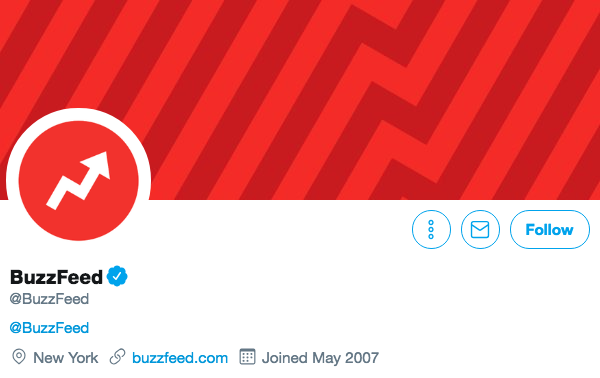 Having a good Twitter bio matters. The words (or emojis) you choose, and the order you put them in, communicates volumes about your brand. Just ask Hillary Clinton who made headlines for starting hers with the word “wife.” She’s since switched it up a little. 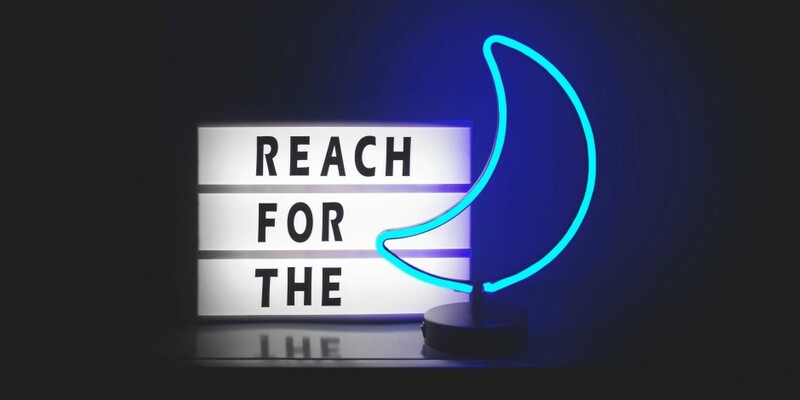 To make sure you use the best words in the best order, we’ve rounded up tips, tricks, and examples, to fill you with enough Twitter bio ideas to inspire your own. Follow these tips to write clever and creative Twitter bios for yourself and for your brand. Say hello to prospective followers by telling them what you do. You may choose to add a brief description of your products or services, share important qualities about your brand, or tell people what to expect when they follow you. With a maximum of 160 characters, Twitter bios are brief. So, take all the space you need to convey essential information. Plus, a recent study found more characters in your bio equals more followers. If you must include legalese or disclaimers like “Retweets ≠ endorsements,” don’t start with them. Use a catchy phrase, humour, or even an emoji to reel people in: hook, line, and follower. Be funny, be serious, be kind. 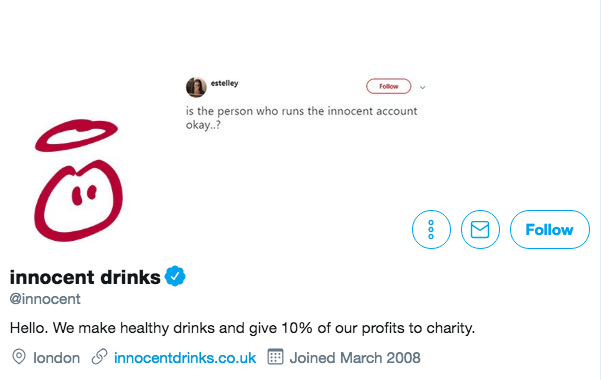 Whatever your brand personality is, be sure to show it in your Twitter bio. Give people a taste of the flavor of your content. Twitter bios are searchable. In other words, Twitter bios are indexed by search engines such as Google and Bing. So put your SEO skills to work and optimize by including relevant keywords. Twitter bios are a space for mastering the humble brag. Awards, rankings, or recognition can act as important social proof, especially if you’re brand isn’t well known. Just don’t overdo it. Take it from “award-winning & -losing freelance journalist” Lauren Duca, who humble flexes among the best. Want followers to tweet with a certain hashtag, visit a specific website, or sign up for a particular newsletter? Then be sure to include a call-to-action in your Twitter bio. If your brand has multiple Twitter accounts, it may be worthwhile to include something like a directory so they know where to find them. That may be especially true if customer service is a core pillar of your brand’s presence on Twitter. But this strategy is also useful for companies who run accounts in multiple languages. How does the saying go? An emoji is worth a thousand words? Okay, not exactly. But emojis can help convey more within the bio’s limited character space. And they can add a splash of colour and character to your bio. 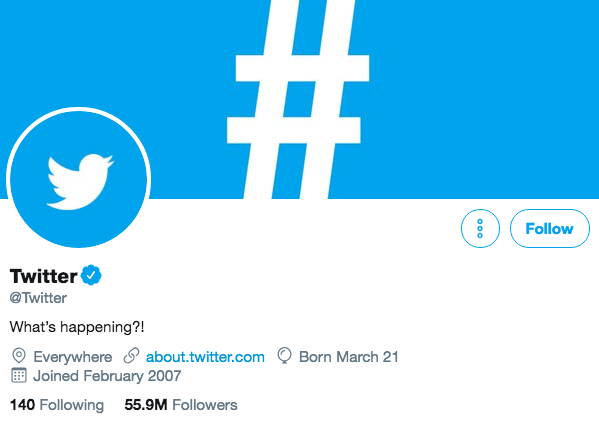 A recent study found that when it comes to Twitter bios, the number of followers decreases as the number of hashtags increase. Hashtagging keywords tends to look spammy, so stick with a brand or campaign hashtag. Bonus points if you can use it in a sentence. Honey, look how seamlessly the Fab Five does it: “#QueerEye is back & looking better than ever.” Can you believe? When all else fails, there’s always the Twitter Bio Generator. While it’s always better that you write your bio, this bot may help get started with fresh ideas. 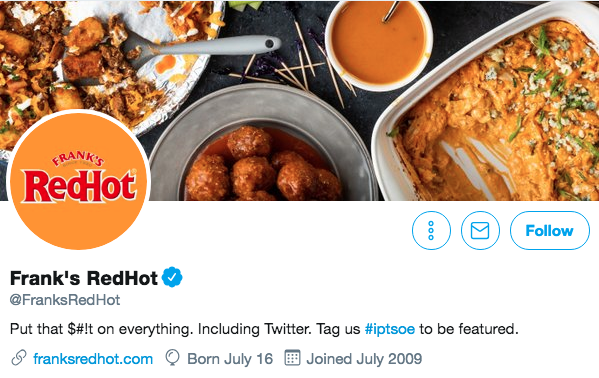 Funny Twitter bios tend to curry the most favor, but these brand accounts get creative in more ways than one. 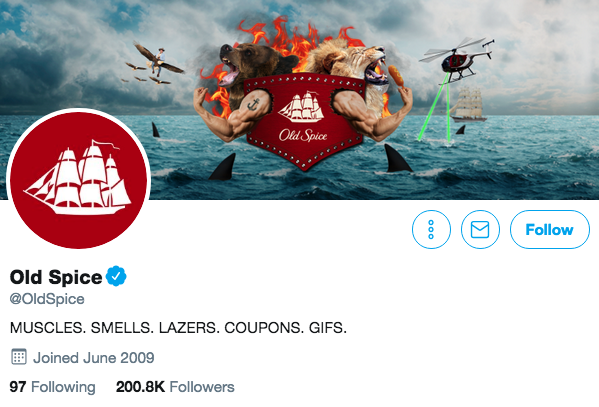 Take these Twitter bio ideas and run with them. This London-based juice maker doesn’t skip the introductions. In less than 15 words, the brand offers greeting, explains what they do, and shares that they give back. While short and to the point, this Twitter bio speaks volumes. 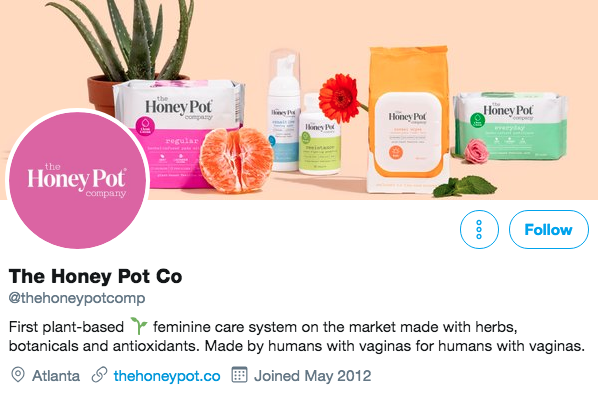 With a plant emoji to reinforce its plant-based ethos, a breakdown of product ingredients, and a real-talk description of who makes it for who, Honey Pot leaves few questions unanswered. Also note the subtle humble brag. With little need for introductions, the header image says it all. 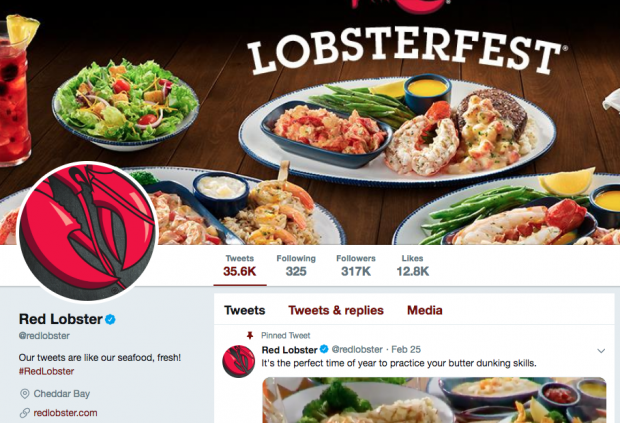 Red Lobster is able to keep its Twitter bio short and sweet. Some fresh wordplay allows the food chain to tell you what to expect from their food and Twitter content all at once. And the hashtag squared away at the end of the copy seals the deal. Calm hooks people into their Zen vibe with its calming “Take a deep breath” reminder. A descriptive introduction, aided by some #1 swagger, deftly delivers the details followers may need to know. 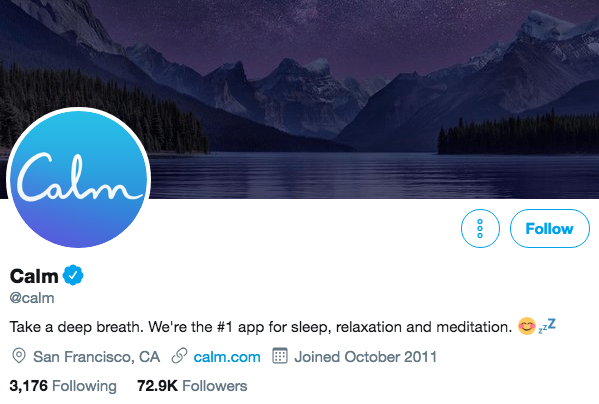 And the bio doubles down with two emojis that help set a positive and relaxed tone. 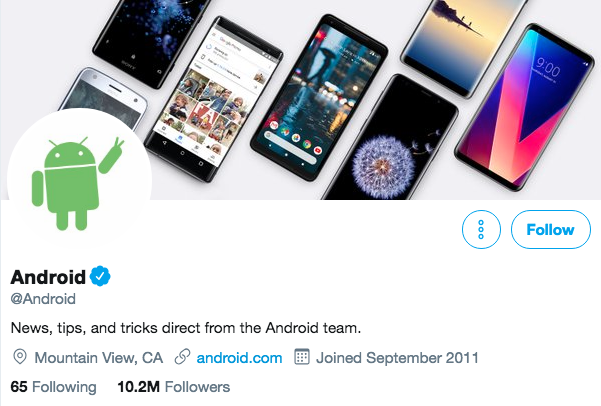 Android’s Twitter bio succinctly tells visitors what to expect, and who to expect it from. 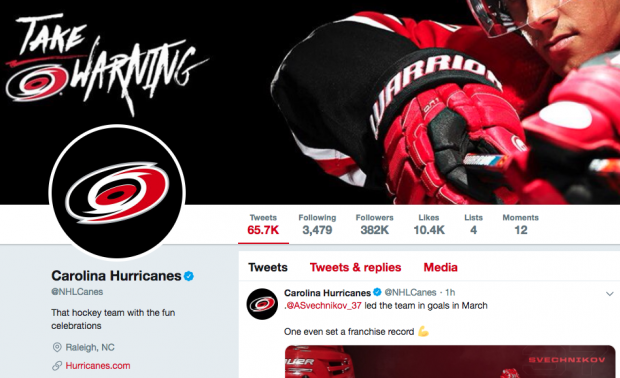 It’s can be helpful to let followers know who the tweets are coming from, especially when you’re backed by a brand as big as Google. 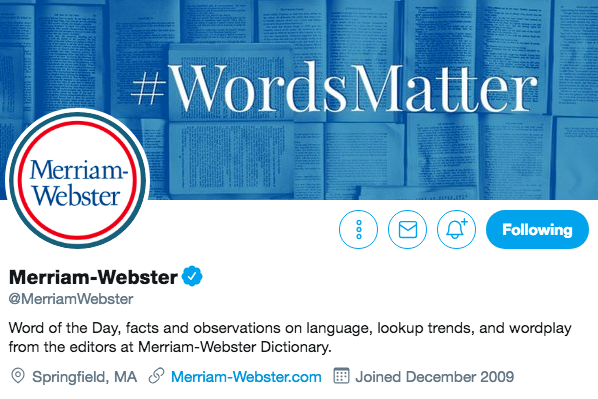 Merriam-Webster’s Twitter bio is another good example of how to share an overview of themes and introduce the people behind the tweets. Logophiles who choose to follow the account know what’s on the docket, and that its being served by a team of experts. 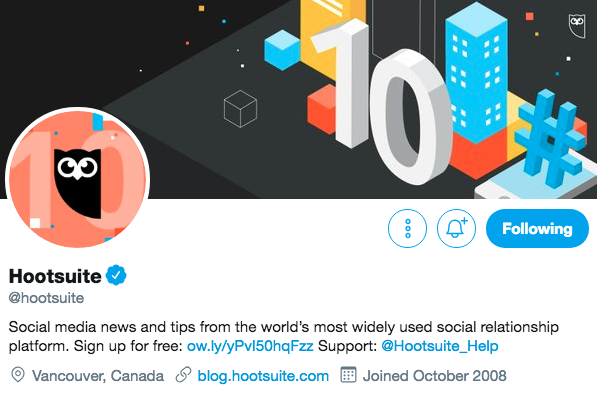 Not to toot our own horn, but Hootsuite’s Twitter bio checks a lot of boxes. An informative introduction, good keyword density, subtle social proof, a call-to-action, and a link to the support account are neatly packed into 152 characters. 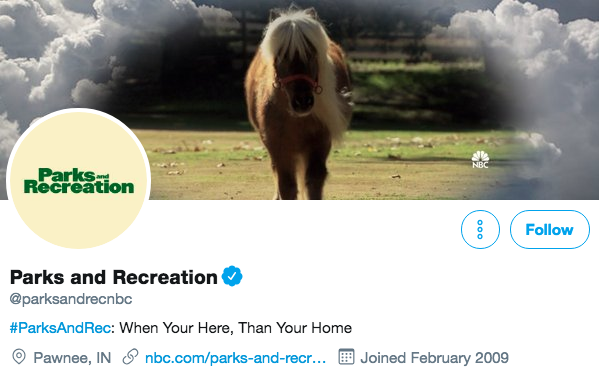 Pro tip: If you plan to include a link in your bio, make sure to save space with a URL shortener. 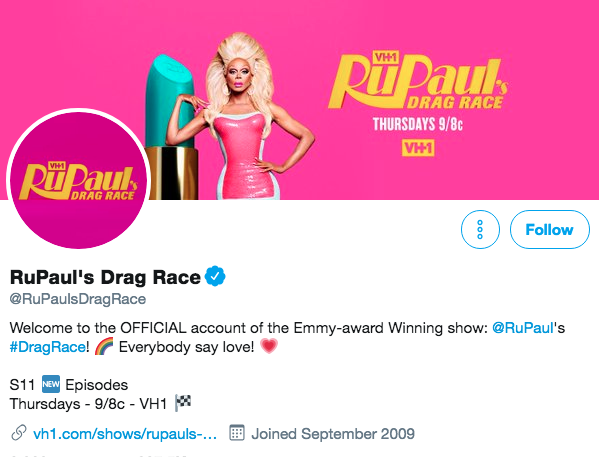 RuPaul’s Drag Race offers a master class on Twitter bios, with a greeting, preening, handle linkage, and hashtag all in the first sentence. The second sentence, “Everybody say love!” ties in one of the show’s catchphrases while also setting tone and informal community guidelines. A little double-entendre goes a long way on Twitter. In this case, JetBlue hooks people in with a friendly greeting. 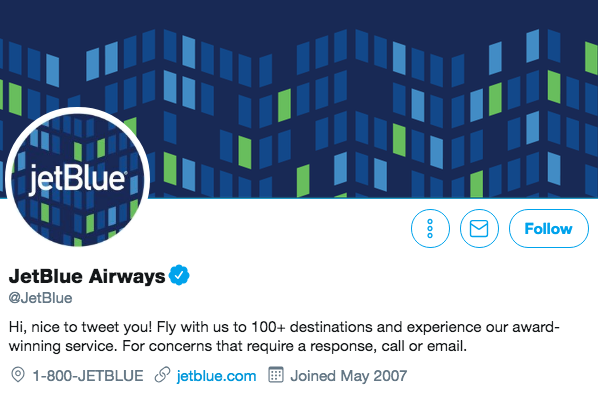 Airlines are known to take heat on Twitter, and JetBlue anticipates this by directing tweeters to call or email. The airline offers further assistance by putting their help line number in the address field. This hot sauce account heats things up with a spicy grawlix and a dash of humour. The call to action let’s followers know both what to do, and what they’ll see: Frank’s Red Hot being put on everything. Etsy’s crafty and creative Twitter bio is informative, inclusive, and helpful. 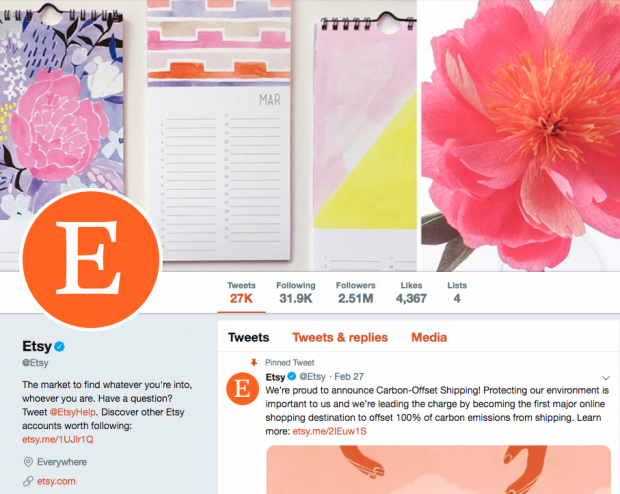 To keep things tidy, Etsy uses an on-brand link shrinker to direct people to a list of its other accounts called Etsy Elsewhere. The main Etsy account, on the otherhand, is located Everywhere. 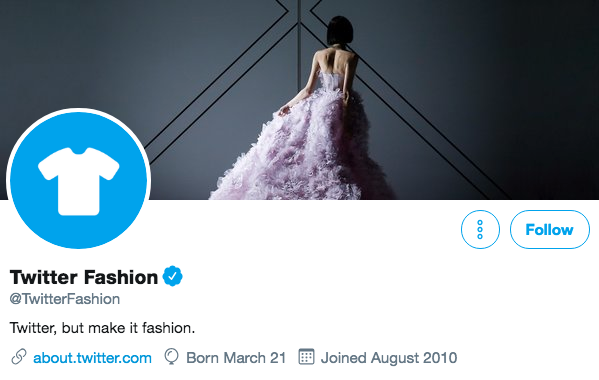 Twitter accounts need little introduction, but its fashion-focused account makes a pretty grand entrance with a meme straight off the runway. This Twitter bio knows how to work it. Postmates may be the Postest with the Mostest when it comes to Twitter bios. If one of your customers puts it better than you ever could, why not give them a shout out? 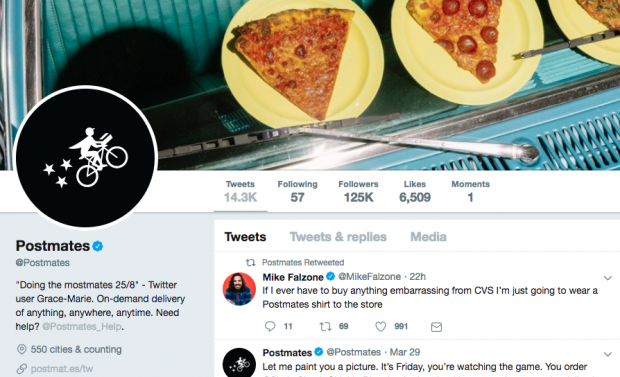 In doing so, Postmates turns a testimonial into a bio line, and shows its followers that it listens. 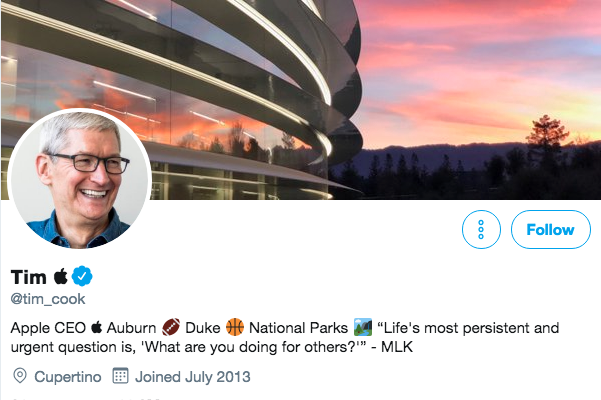 Apple’s CEO Tim Cook had a little fun with his Twitter display name after Donald Trump mistakenly called him Tim Apple. Cook reminds us that Twitter names can be a space to play, too. In this instance, Cook earned social cred and scored additional kudos for using a logo that only renders on Apple devices. 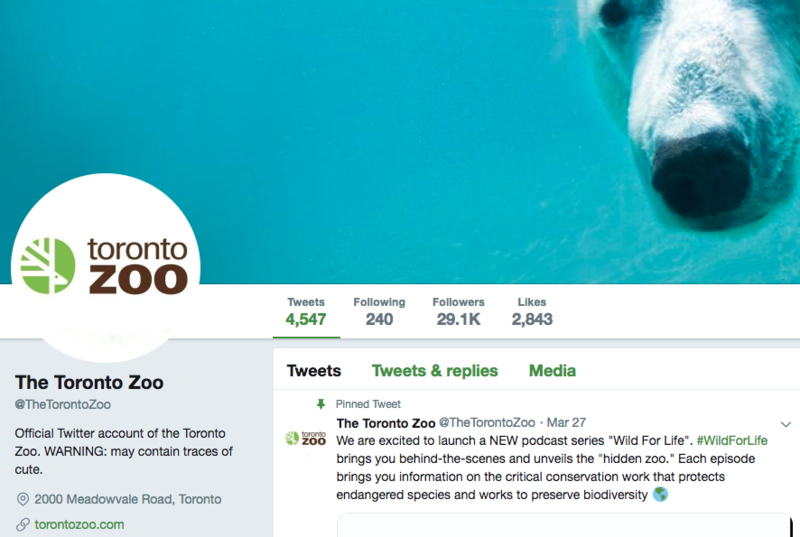 Locations may not technically be a part of a bio, but they can be used to help tell a brand story. 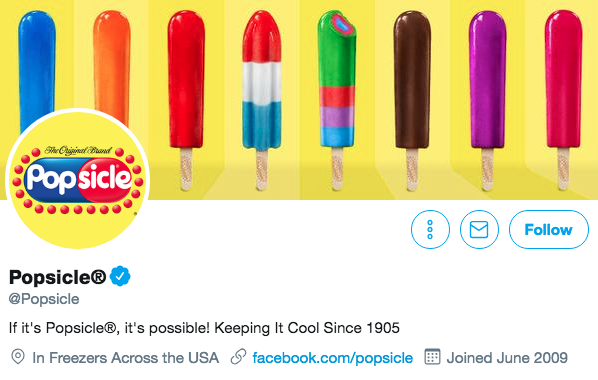 Popsicle offers a tongue-in-cheek play on location. If place is core to your brand identity, definitely include it. Or if you have a single storefront, add the address so people know where to find you IRL. Because sometimes the emojis say it all. And sometimes only one emoji says it all. We stan cute content disclaimers. 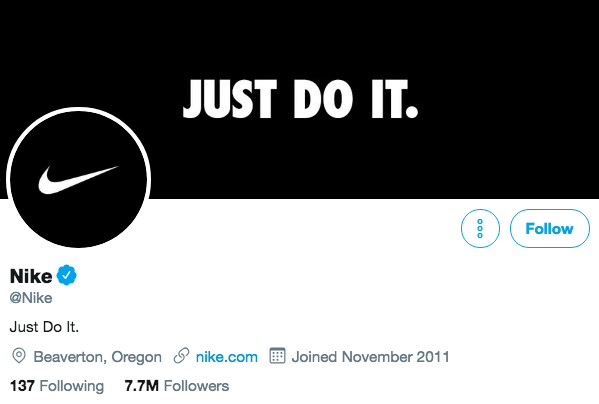 When you have the brand recognition Nike does, you only need three words. A brand slogan, call-to-action, and bold stance, in one fell swoop. Only @Buzzfeed can pull of this feat of Internet inception. 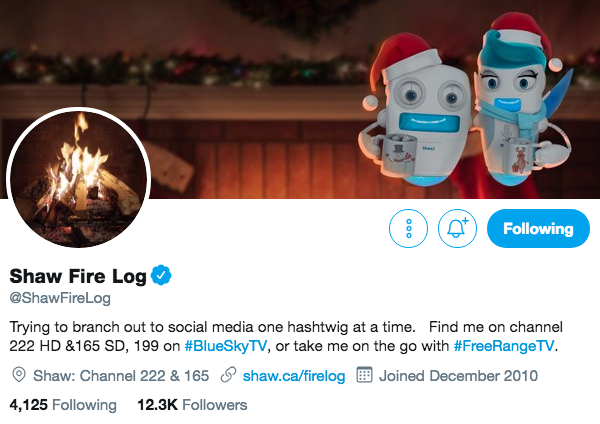 Shaw Fire Log’s bio sparks joy, one smoking pun at a time. 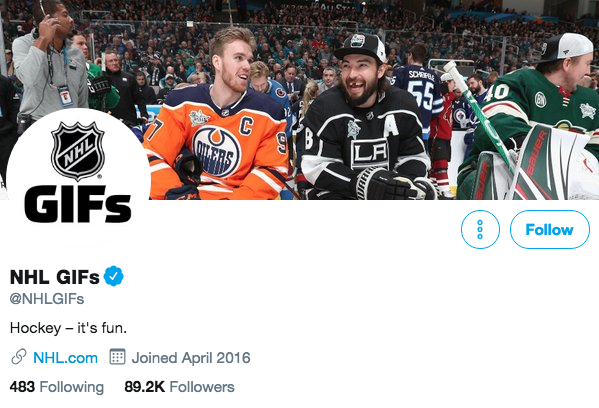 NHL GIFs, just using the Twitter bio space to tell it like it is. Nothing fishy here. 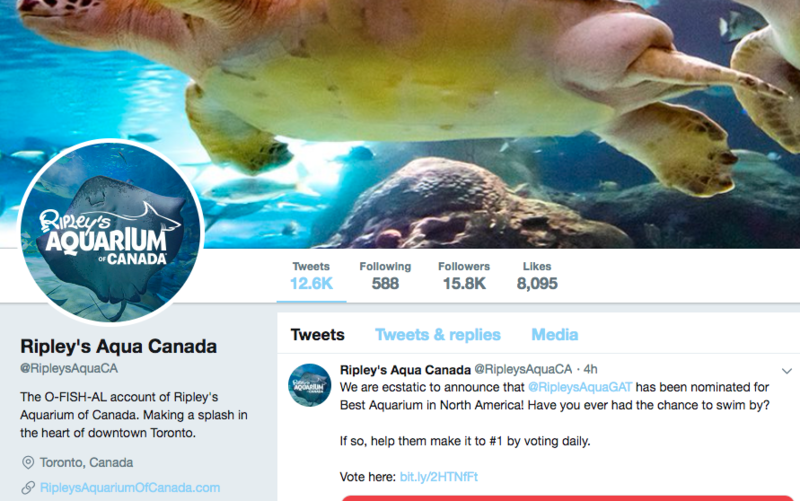 Just some under-the-sea humour from Toronto’s giant aquarium. 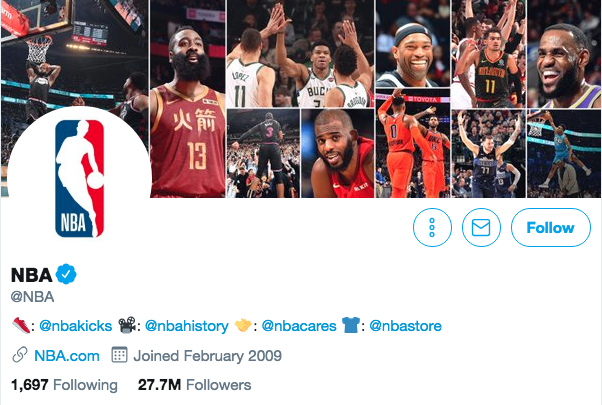 No dekes in NBA’s Twitter bio. Just straight-up links to NBA’s full Twitter roster. You tell us, Twitter. Okay, we’ll tell you. 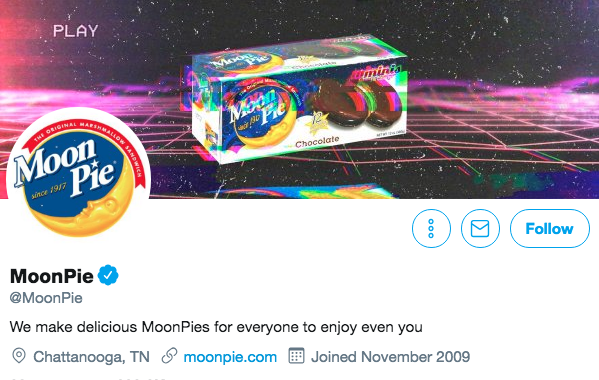 Even you can appreciate MoonPie’s cheeky Twitter bio. 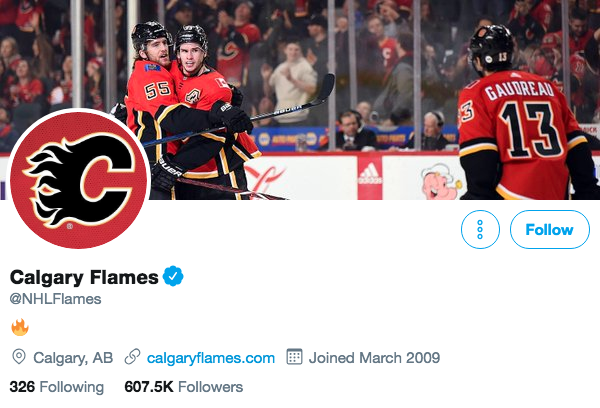 An A+ Twitter bio from everyone’s favourite dysfunctional department. Their, they’re, grammar sticklers. Come for the coupons, stay for the lazers. Because haters gonna hate, and gloaters gonna gloat. Take your Twitter marketing strategy further with Hootsuite. Schedule and publish tweets in advance, engage your audience, and measure your efforts all from one dashboard. Try it free today.